I’m a fan of the game show “Pointless”. If you haven’t seen it, the concept is quite straight forward. 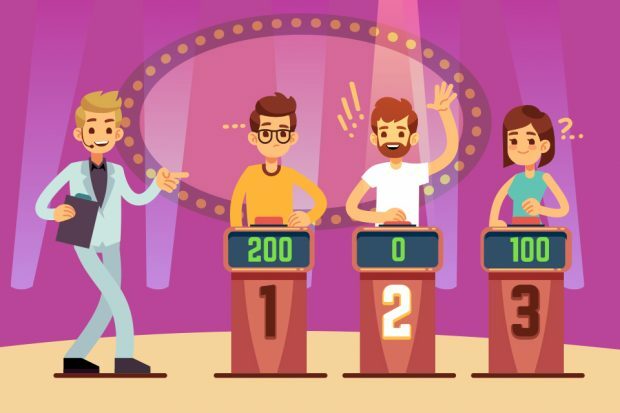 4 pairs of contestants try to score as few points as possible, by testing their general knowledge against answers provided by a panel of 100 individuals in a pre-conducted public survey. Coming up with a correct answer, and one that’s been answered by the least number of people surveyed, gets the contestants through 3 rounds to the final. Choosing a correct answer that none of the surveyed people have provided is called a “pointless” answer and adds money to the jackpot and is also the task in the final round. For example, can you name a country whose first vowel is the letter “A”? If you choose Canada or Brazil, these will be quite high scoring, as many of the survey panel will have given those countries as answers. So, you need to be more obscure with countries like Zambia, Chad or Antigua. These will be low scoring. But if you said Krygyzstan, then you’ll have a pointless answer. Knowing stuff is important. If you’re going on holiday or a short break, booking a hotel has never been easier, with a range of online tools to help you select the location, room and price. But again, I’ll bet most of us will then look at a review site to see what others have said about the destination, the good and the bad, before we make our decision. Knowing stuff is important. What’s that got to do with Companies House? Well, we too need to know stuff before we make decisions that affect how you engage with us. What new services would you like us to deliver? Can we make your returns easier? Can we help you to get your forms in, correctly and on time? Our survey will help us to make these decisions. But, like in Pointless, if you give an incorrect answer you’ll score 100 points. If you fail to fully complete our survey, or give meaningless information, your input will be pointless to us. So, if you are going to take part, and I would encourage you to do so. Please can you continue to the end, and make sure your answers are honest and meaningful. Not like the answer to the Pointless question, “Name a post war golfer who has won at least 2 golf majors”. A confident response from the contestant…“John McEnroe”. Spread the word. We need as many completed surveys as possible. If you’ve used our services to incorporate, provide returns, dissolve or even just used our search facilities to find company information, we want to hear from you.